Topic: New digital manga focused on... Yamcha? Re: New digital manga focused on... Yamcha? Just noticed the chapter is not called "chapter one". I suspect this is a one-shot. Anyway, I checked the Twitter account of the author and I recognized some of his drawings from elsewhere. He can really emulate any drawing style! New digital manga focused on... Yamcha? Topic: What is the best Trunks figure? Re: What is the best Trunks figure? I know this is necroposting, but I don't think this post deserves a new thread. I bought the premium version of S.H Figuarts Trunks with sword. And I'm thinking of buying armoured Trunks too. Are they compatible with each other? I mean, can I change faces/hair/hands from one figure to the other? I thank you all for your advice. I decided to pre-order the Premium S.H Figuarts figure, since the non-premium version is almost impossible to find for a good price. What is the best Trunks figure? I recently became interested in figures, like Figma, Figuarts and all that stuff. I want to buy a Trunks figure. What is the best option I have? I'm particularly interested in figures that can pose. If anybody wants to add me, my ID is 891816799. I'm still weak, but I plan to play on a constant basis. According to Wikipedia, he is voiced by Motoko Kumai. The article doesn't say anything about her voicing Taro Yamada before, so I'm not sure if she's reprising the role. I have to check that later. Thank God for the trailers featuring characters from other series. I get seriously mad whenever people call this the "Dragon Ball vs Naruto vs One Piece videogame". You know, in the last years, Dragon Ball has been all like "You get a sibling! You get a sibling! Everybody gets a sibling!" Indeed. I just checked the list of characters in the Japanese version. Nobody is missing, either playable or support. So, are all those characters confirmed? I'm ok with that. Hey, how about Cashman? I want to make a Freeza clan member like him. And maybe Ackman as an human warrior. I was thinking... 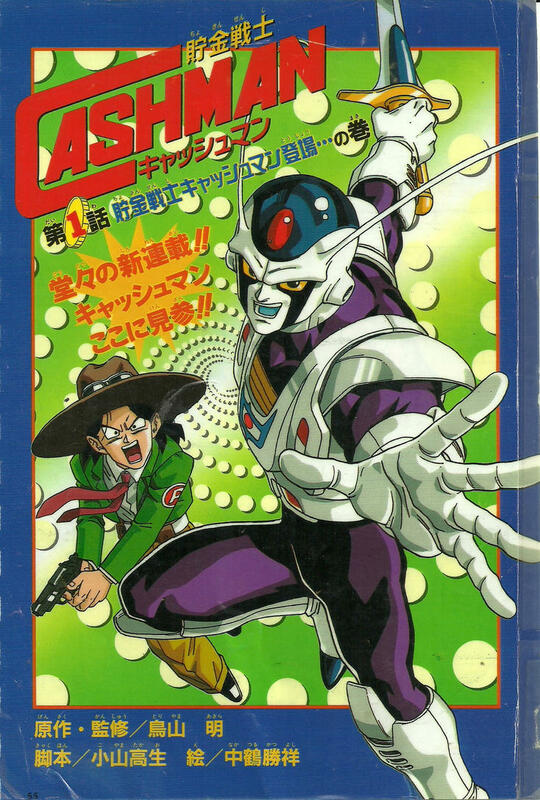 If we can change the color of Freeza's clan "armor" to green, maybe we can make some Cell-lookalikes. Wobbuffet wrote: Was Videl confirmed yet? I'd like to make her team up with Gohan. Was Videl confirmed yet? I'd like to make her team up with Gohan.